Today I was walking in the forest near Berne. I heard a beautyful music and followed the sound. 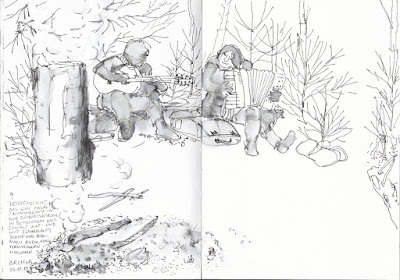 I saw a man and a woman playing music in a small clearing. 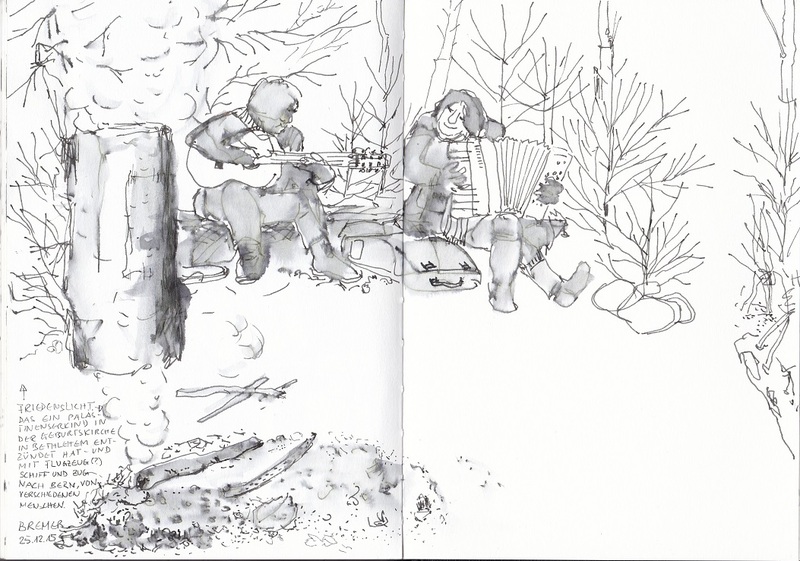 I was glad that it was ok, that I listened and sketched. They told me, yesterday they had a peace light from Bethehem (Israel) that a palestinesian child had ignited, and some people brought to Berne (and other places). Some smoke was still rising. Wie immer ist die Geschichte zur Zeichnung ebenso spannend.